The Congress gathers one hundred astronauts every year (-> see astronauts present at the congress). They are all members of the Association of Space Explorers and completed at least one orbit of the Earth in a spacecraft. It is the very first event gathering astronauts, cosmonauts and taikonauts from all over the world and providing them opportunities to communicate on manned flights and future exploration projects. It is held every year in a different host country. 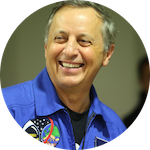 The Congress conveys the values of the Association of Space Explorers. It aims at promoting the benefits of space exploration and of scientific research in space to the general public. It also aims at fostering the actions encouraging education and advocates a real international space cooperation. During the Congress, one day is devoted to the education - the Community Day. It enables the participants to meet pupils, students, teachers and local media, as well as a local institution pertaining to education. The very first edition of the Congress took place in Cernay, France, in 1985. 30 years later, it is coming back to France, in Toulouse, at the Cité de l’espace. 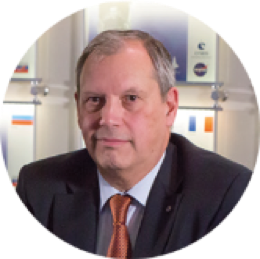 From October 16th to October 20th, 2017, the Congress will be hosted by Toulouse Métropole and the Cité de l’espace, under the high patronage of the CNES, the National Centre for Space Studies, and in partnership with ESA, European Space Agency, and Airbus. 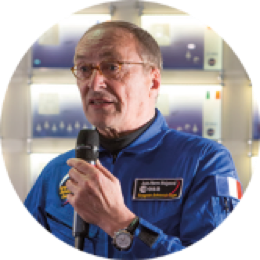 Astronaut, advisor to the European Space Agency (ESA) CEO, patron of the Cité de l’espace. co-founder of the Association of Space Explorers in 1985. 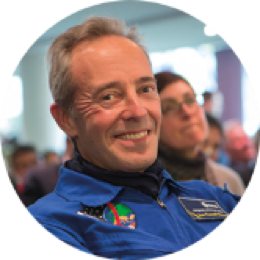 2017 brings a very dynamic context for the Planetary Congress thanks to Thomas Pesquet’s Proxima mission (French ESA astronaut), the « Astronauts » temporary exhibition currently running at the Cité de l’espace until the end of 2018 and the 20th anniversary of the Cité de l’espace ! The City of Toulouse is also chairing the Ariane Cities Community in 2017 and has been appointed Science European Capital (ESOF) until 2018. Opening and closing ceremonies will be organized during the Congress, as well as events to celebrate the remarkable personalities and institutions of the host country. One of its highlights is the « ASE Crystal Helmet » ceremony – one of the most prestigious awards in astronautics. Several technical sessions, dedicated to current spatial activities, manned flights and general space exploration, will be organized. Booking will be required to attend this year’s sessions. They will however be broadcast on the internet to be available to the largest audience. Planning for the future, especially with the dedicated "Community Day". In 2017, the Congress will be taking place at the Cité de l’espace, in Toulouse, a unique site to share the European and global space adventure. It is the leading European venue dedicated to the dissemination and the mediation of scientific culture and that implements all the means required to achieve this objective. Astronauts are invited to meet up with the research centers and the major stakeholders of the local industries and to discover the rich cultural, artistic and scientific heritage of their host city.